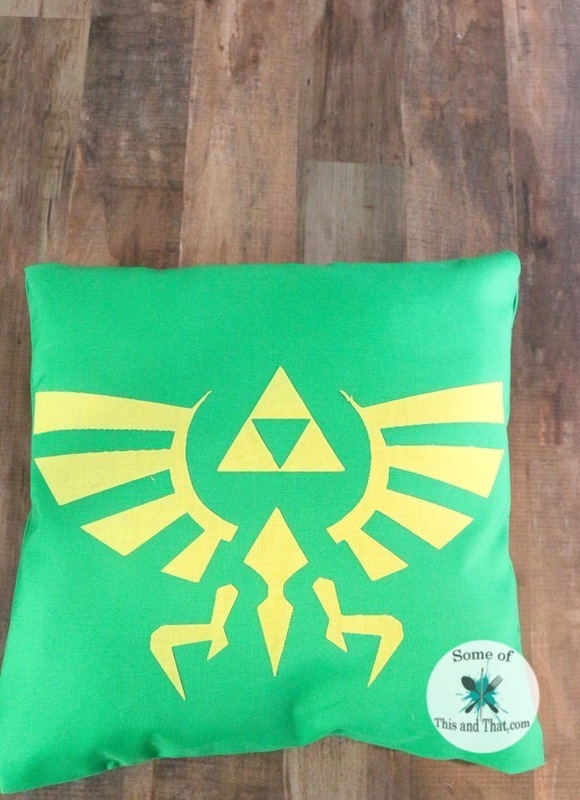 DIY Legend of Zelda Pillow! No Sew! Over the last weekend I pulled out some of my old video consoles and had a blast playing. One thing that my hubby and I agree on is that Legend of Zelda is our all time favorite game. It inspired me to do some fun “old school” nerdy crafts. 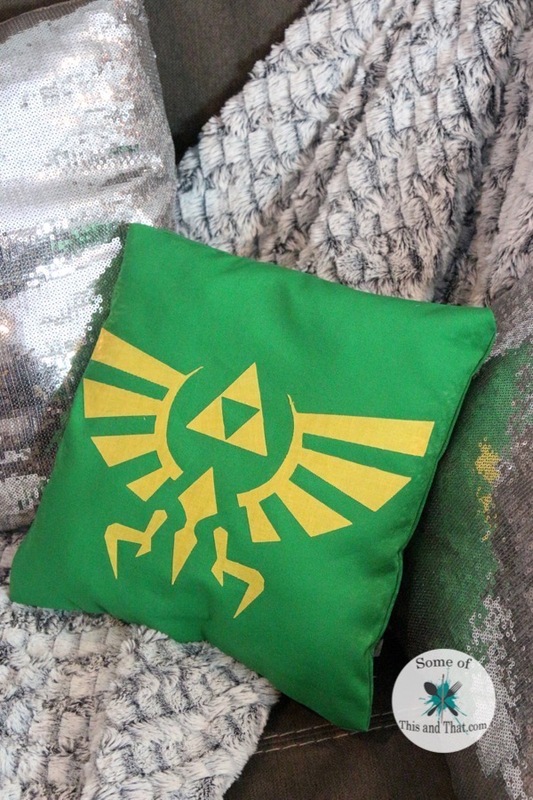 Of course, we had to start off with this DIY Legend of Zelda Pillow! What I love most is that I did not have to sew a thing! I did not even use hot glue to make the pillow or adhere the decal! I did use my Silhouette cutting machine to cut the decal out though. It was my first time using it to cut fabric, and it worked out perfectly! 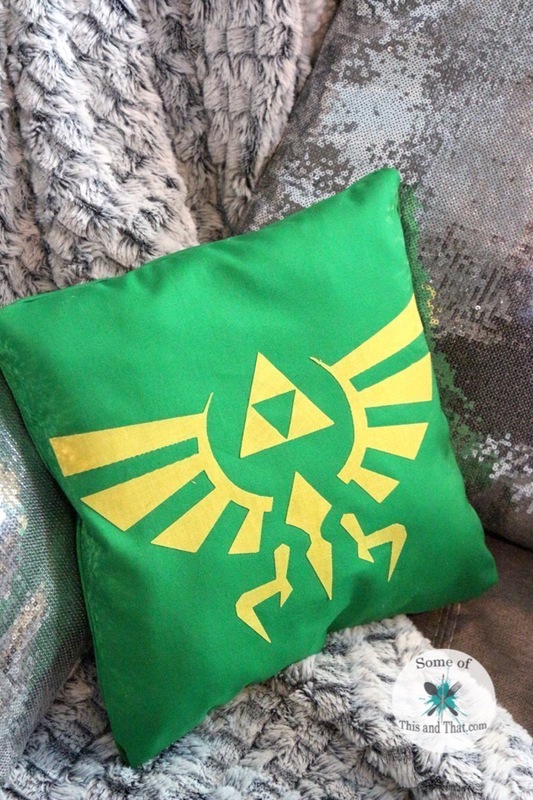 To see how I made this DIY Legend of Zelda Pillow, check out the video below! To grab the free template check out the download button below! I love how this pillow turned out, and it took less than an hour to make! 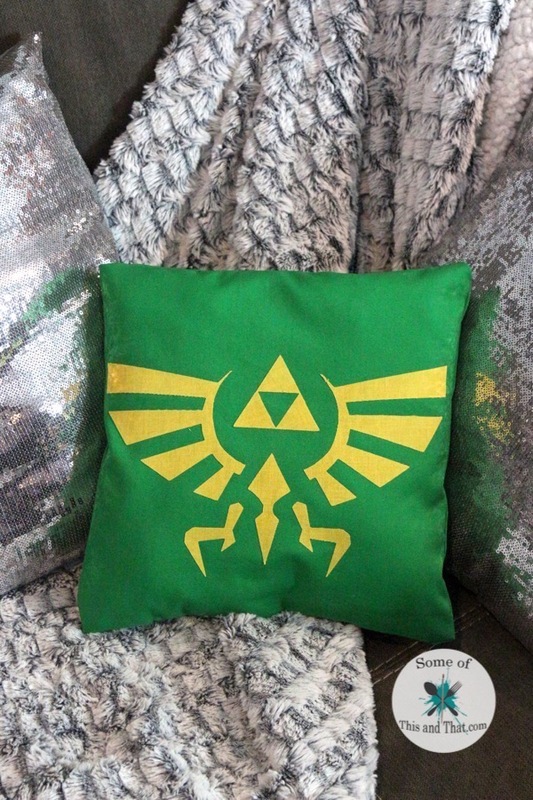 If you love nerdy crafts, be sure to check out our Nerdy Craft area, as well as our Pinterest. We are always pinning fun and crafty things!